What Does Your Perfect Camera Bag Look Like? As part of my work as the Photography Evangelist for Lowepro, I'm always seeking input from photographers about their gear. 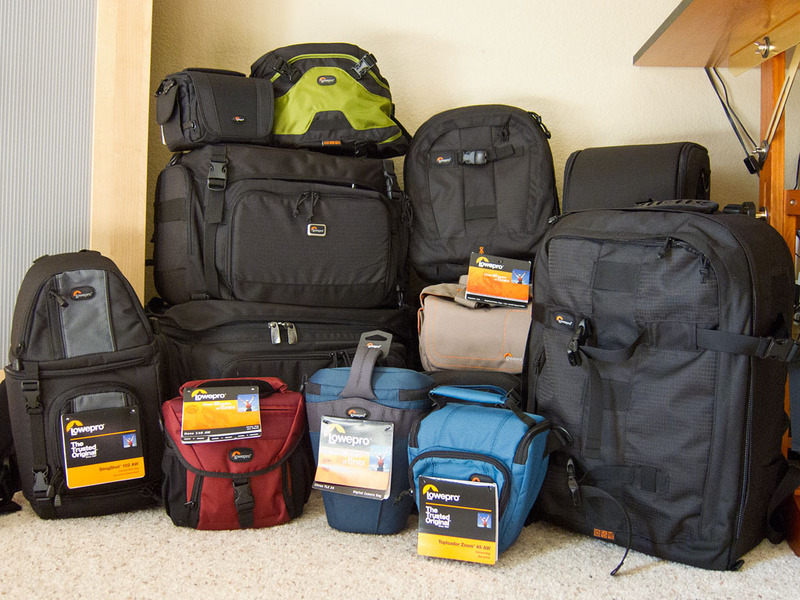 Recently I asked the Lowepro community, "What does your dream bag look like?" What is the perfect bag for you? Responses were posted on the Lowepro Facebook page, Twitter, and sent to me via email. I then posted an article on the Lowepro blog, summarizing the basic themes from the community. You might want to take a look if you like this stuff. One of my favorite ideas was adding a second strap to sling bags, such at the SlingShot 202 AW, so you could wear it backpack style for longer treks. When you switched to shooting mode, the strap could be tucked out of the way allowing you to work sling style. There's lots of great feedback in the post, including adding All Weather covers to the Fastpack series, what makes a great bag for student photographers, and more. It's fun to read what people share. EX 120 is a good bag, but I'd say it's a bit too shabby in terms of quality, but other lowepros are fine. Their ridge bags are very tough and handy on top of it. I don't really have a "perfect" bag but I do like some of the bags you put up on the site IMO. So just Lowepro bags, I take it? Domke F2 for studio use- Domke F4AF for field work. Lowepro makes fine bags- but when was the last time you came across a working pro with a 25 year old lowepro? ?